Drink beer, talk about beer, drink beer AND talk about beer with people who make beer. If you like beer, then this is probably the event for you. Head down to EPIC this Saturday at about 11.30 and partake! The beer war has turned into a beer crusade! The second Small Brewers Beer Festival has captured the attention of some of the best small brewers in Australia. 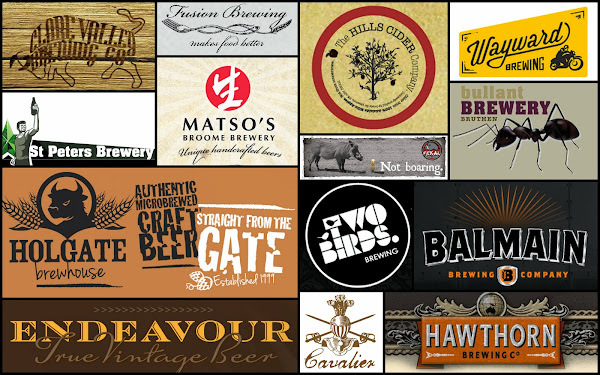 More unique and flavoursome beers and ciders will be brought to Canberra than have ever been seen before. This year the event will be held at Exhibition Park in Canberra to allow for greater crowd capacity. Local bands will be providing some toe tapping fun music to entertain us and gourmet food will be available from multiple stalls. Tickets are available for purchase here at moshtix for $35. TIme to find a designated driver. HopDog Beerworks from Nowra will also be there. Well worth attending for their beery goodness. This is just the sort of thing that Premium Subscribers love to get free tickets to, so they can become a little less lovely and erudite and SUBTLE. The beer, not the Bookfair. And Sweet Little Bracham, there is another type of football played with a strange ball, which is quite popular in Melbourne. Hawthorn is a team that is proficient at this football, and the players are coming up to a biggish match. Hawthorn Brewing: Mr Poetix hopes they are! And once you’ve finished pop into the Bookfair and spend too much money.